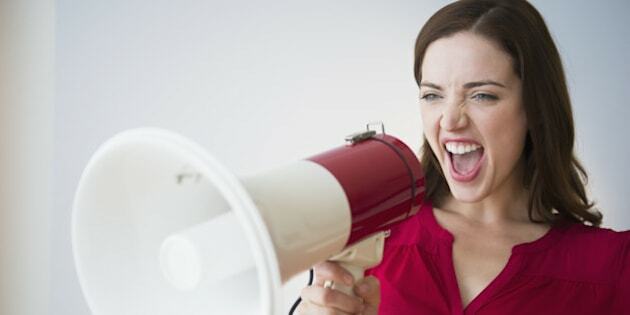 Altering the fundamental acoustic properties of your voice can send the message that you are in charge, according to a new study that suggests to find that authoritative tone, putting yourself in the right mindframe can do the trick. "Our findings suggest that whether it's parents attempting to assert authority over unruly children, haggling between a car salesman and customer, or negotiations between heads of states, the sound of the voices involved may profoundly determine the outcome of those interactions," says lead author Sei Jin Ko, a psychological scientist at San Diego State University. According to Ko and his team, it's the acoustic cues, rather than an educated choice of words, that determine the outcome in such situations. In their first experiment, the team recorded 161 university students who read aloud to determine each participant's vocal properties as a baseline. After reading, all participants were asked to engage in a negotiation exercise, during which each was randomly assigned to a specific role defined by its level of status. Participants who had been assigned to a high-ranking position in the negotiation exercise were asked to imagine that they had either an appealing alternative to offer up, priceless inside information or a position of power in the workplace, or they were asked to recollect an experience in which they had authority before the game began. Those who had been assigned to a low-ranking role in the game were asked to imagine exactly the opposite of the above situations and some of them were asked to recall a time in which they lacked power. All participants were asked again to read aloud and the research team recorded them reading the same passage. When compared to the first reading, the voices of students assigned to high-ranking roles escalated in pitch and remained steady, showing more variation in volume the second time than the low-ranking group. The next experiment involved a group of listeners who were not aware of the first; they were able to discern who had power and who didn't by picking up on the power-related acoustic cues. The listeners' interpretations of power were in accordance with how participants had altered their voices: For example, they took elevated pitch and varying vocal volume to mean that the speaker had authority.